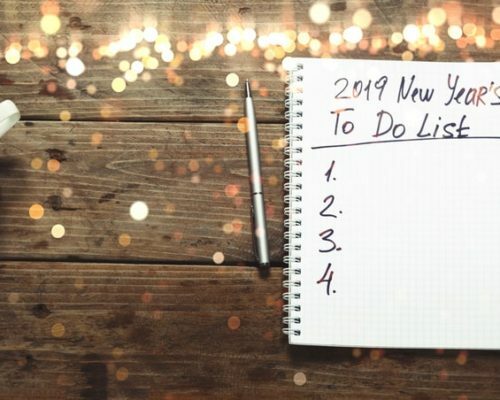 We’re a couple of weeks into 2019, so I have to ask – are you sticking to your new year’s resolution? Many common resolutions involve eating better, working out, or other healthy habits. Regardless of what your resolution may be, if you aren’t sleeping well, you are at a higher risk of not sticking with it. Sleep is an integral part of health in the short-term and long term. It helps us feel refreshed and energized; it improves our memory; it protects our heart; and improves our mood, to name a few of the benefits of sleep. You can also add “helps you stick to new year’s resolutions” to the list of benefits that sleep provides. Sleep helps balance motivation and willpower. When resolutions are broken, it often has to do with lack of motivation. This is why on the first day of the new year, you tend to not start your resolution because you’re often sleep deprived. But the more days you continue to experience poor sleep, the less motivation you will have to stick with your resolution. Sleep helps preserve your prefrontal cortex, which is an area of the brain responsible for higher-order executive functions such as being motivated, focused, attentive, and creative. It also keeps your emotional impulses in check. It also helps keep your energy levels high along with improving to flush out toxins in the brain and boosting your immune system, which are all necessary to stay motivated and complete your resolution. As you can see, sleep plays an integral part in helping you stick to your new year’s resolution. Even if you haven’t taken the right steps towards your resolution yet, you still have the rest of the year. Simple start by improving your sleep and the rest will follow.